Subrogation claims are a method for insurance companies to receive reimbursement against the party who is at fault for legitimate claims paid to the insured. At Midkiff, Muncie & Ross, P.C., we represent insurance companies in all types of subrogation claims. In fact, we have a large loss subrogation team ready to respond immediately to assist clients upon notice of a loss. At Midkiff, Muncie & Ross, P.C., we handle effectively subrogation claims for our clients. Whether the claim involves medical payments, building or structural damage, or automobile accidents, we diligently pursue reimbursement for our clients’ financial loss and pursue their subrogation rights. We take a team-oriented approach in handling your subrogation claim. Attorneys at our firm collaborate with experts to identify who is responsible for the loss. Those individuals or companies must be held accountable for their actions. If an insurance company is entitled to recovery for an insurance payment to a client, we will diligently pursue the subrogation claim in federal or state court. Attorneys Robert Tayloe Ross and Jim Shannon co-chair the Subrogation team, which has vast experience in pursuing successful subrogation cases in multiple jurisdictions in both state and federal courts. 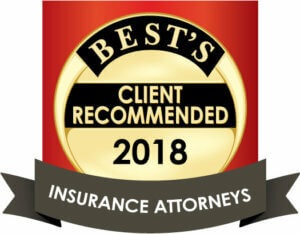 For many years, insurance companies have come to rely on Midkiff, Muncie & Ross for their dedication, success and knowledge of insurance subrogation law. Robert Ross, Jim Shannon, Jim Muncie, Regina Maria Policano, Robert Reverski, Margo Carnahan, Brian Rife, and David Abel, and D. Boyd Cook collectively provide our clients with over 125 years of aggressive subrogation representation. For more information regarding a subrogation claim, please contact us.